Le prochaine roman de Steve Mosby va paraitre le 11 Juin, au UK. Sarah Burke is dead: killed by her boyfriend in a jealous, drunken rage. He's confessed, but can't remember what happened afterwards, only that he went for a long drive to dump her body. The police appeal to the public for help finding Sarah's remains. They're looking for a field with a wooden gate, an empty bottle of vodka by the roadside. She will be partly concealed beneath a hedge...Shocked by the news, Neil Connor travels halfway round the world. He's coming home determined to say goodbye to Sarah, the friend who helped him through his darkest days. When he arrives, however, he finds only a mystery. The field has been located, but using the information provided by the police, someone else has got there first. Sarah's body has been taken. On the other side of the country, a killer is preying on young women. 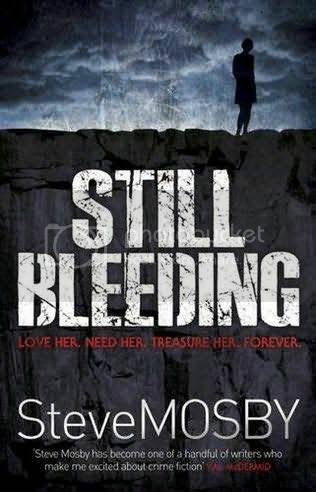 When a girl called Nicola Stone vanishes, Detective Paul Black knows they only have a week to find her - before her body turns up, drained slowly and completely of blood. Paul seemingly gets a break when a man is caught and confesses - but Nicola's body isn't where it should be...In their hunt to find the living and the dead, Paul and Neil are drawn together into a sinister world of death fetish and 'murderabilia', where relics and mementos of killers are traded, and life is only the first thing a victim might lose. Le livre sera publié en France en 2010 par les éditions Sonatine.